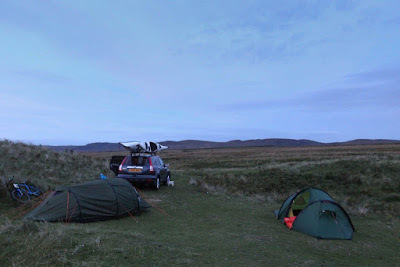 Partly due to my deteriorating knees and partly due to the recent weather, I have been doing less sea kayaking recently and as a result my recent trips have been short half day trips, usually from Ayr. I find it difficult sitting in a kayak for a long time and do not like long car jointures. 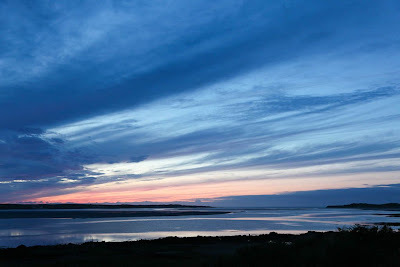 To provide some variety for the blog, I am going to dip into the back catalogue and where better to start than a return to the magnificent island of Islay? 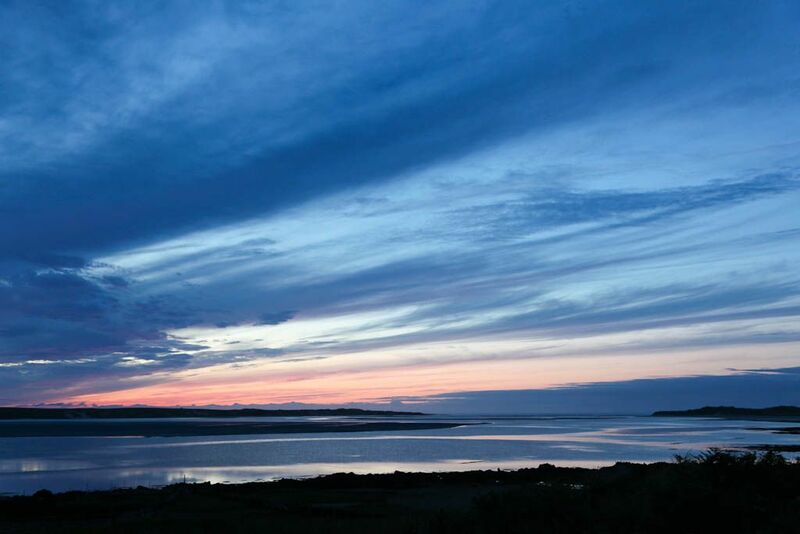 It was an evening in early August when Tony and I caught the last ferry to Port Ellen on Islay's south coast. 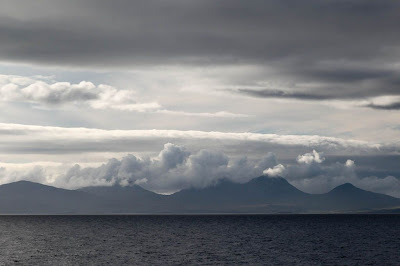 In truth that summer wasn't much better than this one and while we were on the crossing dark clouds were rolling over the summits of the Paps of Jura.